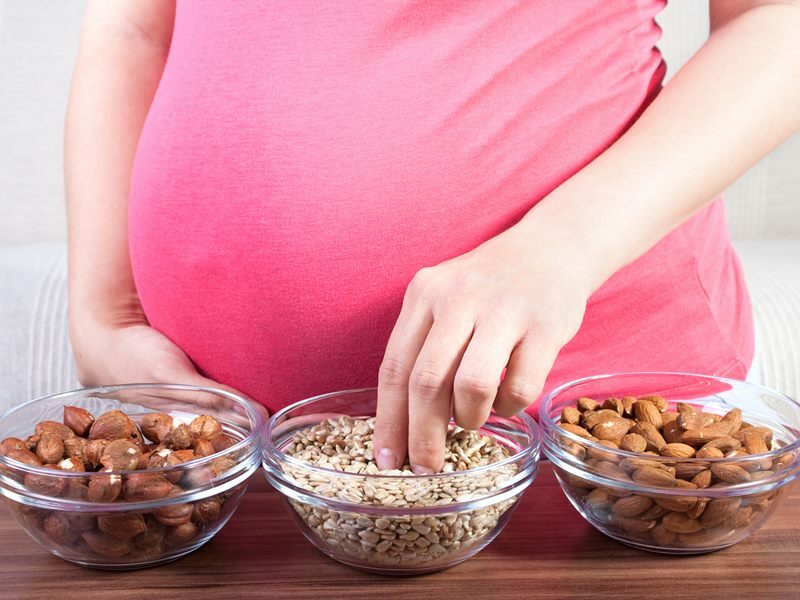 According to a recent study from Boston Children’s Hospital published in JAMA Pediatrics, women who eat peanuts during their pregnancy aren’t placing their unborn babies at risk for nut allergies as once thought, but in fact the opposite may be true. The study’s senior author Michael Young, MD, of Boston Children’s Division of Allergy and Immunology tells Science Daily, “Our study showed increased peanut consumption by pregnant mothers who weren’t nut allergic was associated with lower risk of peanut allergy in their offspring. Assuming she isn’t allergic to peanuts, there’s no reason for a woman to avoid peanuts during pregnancy.” In the past, women have been advised to avoid nuts and other possible allergy associated foods during pregnancy, because of an increased risk of later allergies. In fact, even The American Academy of Pediatrics (AAP) supported the nut avoidance recommendation for years, but changed their mind in 2008 due to lack of supporting research. Also, consider that while the AAP was telling moms to avoid nuts, peanut allergies continued to rise, and while no one is sure if avoiding nuts caused the increase, it’s food for thought when it comes to nut avoidance decreasing allergy risk. The new study looked at health records of 8,205 children, 140 of whom had actual nut allergies, and then the researchers discovered that the rate of peanut allergy was significantly lower among kids whose mothers ate peanuts while pregnant. According to the researchers, there’s not quite enough data to prove that more nuts for sure equals less risk of nut allergy, but there is enough to show that eating nuts while pregnant will not cause allergies.